Nintendo is to be the exclusive publisher for the next three of Sega's Sonic the Hedgehog titles. In a deal that many of our 8-year-old selves would simply not believe, the worldwide partnership means Nintendo will publish the upcoming Sonic: Lost World exclusively to the Wii U and 3DS. The deal also covers Mario and Sonic at the Sochi 2014 Olympic Winter Games and a third as-yet unannounced major Sonic game. As part of the deal with its former rival, Nintendo will also be bringing a number of old Sega Game Gear titles to the 3DS via the Nintendo eShop. The publishing partnership was announced during a Nintendo Direct video conference. Talking to GamesIndustry International, Sega confirmed that the deal would mean Nintendo would be managing publishing and distribution throughout Europe and Australia, with Sega US still holding publishing duties for Sonic: Lost World. 'This is a strategic partnership that does not affect our existing distribution network across these territories and with whom we are looking forward to working with on the upcoming releases of Total War: Rome II and Company of Heroes 2,' said Sega Europe chief operating officer Jurgen Post. The news will be a fillip to Nintendo after last week being set back by the announcement that EA currently isn't making any games for the Wii U.
Sega's efforts are currently split three ways with the company putting more focus into its PC, mobile and digital endeavours than its traditional console gaming market. 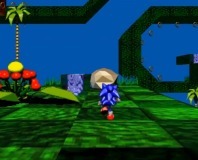 Sega's most recent core Sonic the Hedgehog titles include Sonic Generations and Sonic Colors whilst the company has also attempted to produce an HD remake of the classic Sonic titles in the form of Sonic the Hedgehog 4. Details on Sonic: Lost World are scarce but during the Nintendo press conference it was confirmed that it would be an action-adventure platformer that would introduce new gameplay elements to the series. Unfinished Saturn era title Sonic X-Treme has had its source code polished up and been given a fan release. Two US and one UK company get cash. 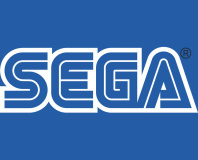 Sega is working to bring several of its classic arcade franchises to film and tv proejcts.